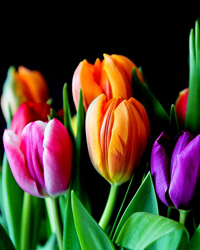 Obituary for Susan M. Menzl | Thomas J. Gmiter Funeral Home, Inc.
Age 59, of Brentwood, passed away on Tuesday, April 2, 2019. Beloved daughter of the late Fred and Mary Ann Menzl; dear sister of Fred J. (Alice), Walt, William (Barbara) Menzl and the late Gloria Smith; also survived by many loving nieces and nephews. Friends received Sunday 2-4 and 6-8 PM in Thomas J. Gmiter Funeral Home, Inc. 2323 E. Carson St. Funeral prayer Monday 9:30 AM, Mass of Christian Burial in St. Wendelin Church at 10:30 AM. In lieu of flowers, donations may be made to Rolling Thunder, 3332 Lincoln Ave., West Mifflin, PA. 15122 or The Race for the Cure, 1133 South Braddock Ave., Pittsburgh, PA. 15218.